The V&A museum has just announced that the exhibition 'Alexander McQueen: Savage Beauty" will take place in London in spring 2015. The first and largest retrospective of the late designer’s work to be presented in Europe, the exhibition will showcase McQueen’s visionary body of work. 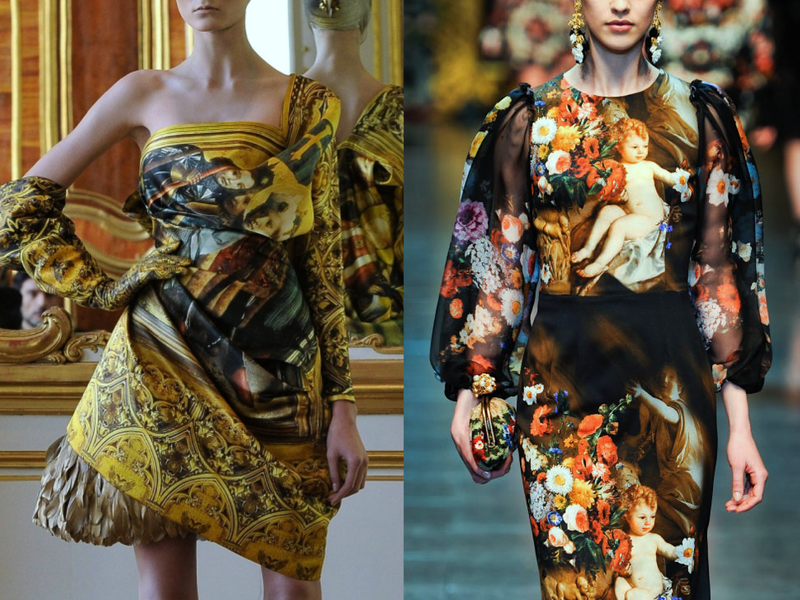 The original version of 'Alexander McQueen: Savage Beauty" at the Metropolitan Museum of Art, New York in 2011 was organized by the Costume Institute and became one of the Museum's top 10 most visited exhibitions. Whenever The Met or the V&A showcases an important costume or fashion exhibition it immediately effects fashion designers work. Just remember the 'Schiaparelli and Prada: Impossible Conversations" or 'Punk: Chaos to Couture" ones for example: the impact of those two shows has been paramount for the following fashion season. 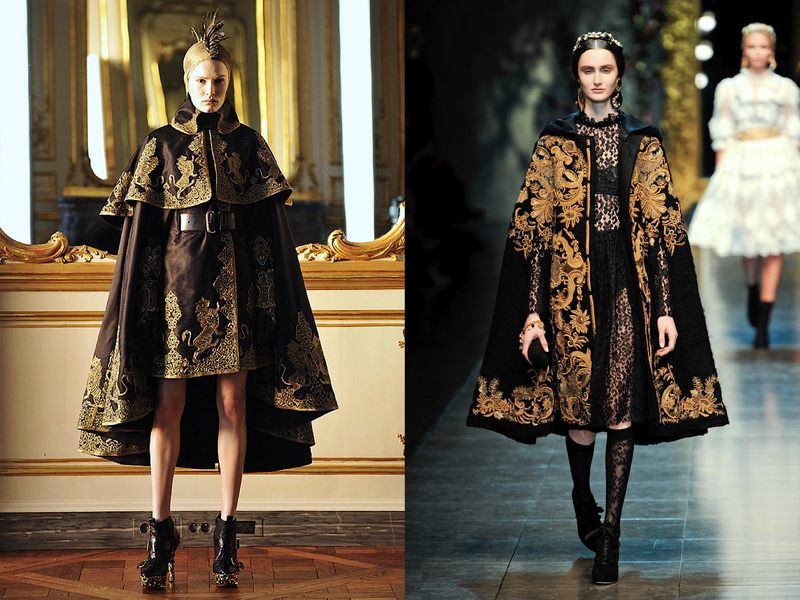 We can imagine that the same thing will happen with the Alexander McQueen exhibition, even this the collections of this particular fashion house seem always to inspire: Alexander McQueen FW 2010||11 [all lefts] and Dolce&Gabbana FW 2012||13 [all rights].